I absolutely love making custom pieces for customers, whether it’s a design they had in mind or an idea and we can work on together and create something special and unique! 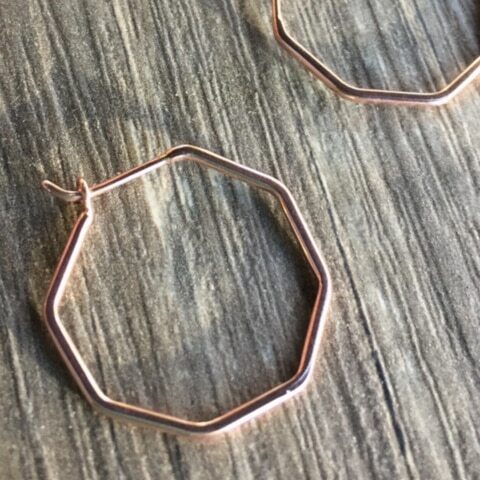 I recently met Lindell at The Argyle Affair Market in Camden (and what an amazing market might I add), she told me about a dream she had of some hexagonal shaped earrings. After chatting over the custom design, Lindell went off to enjoy the rest of the market. She emailed me the next week and after a few emails back and forth with design ideas, I got to work on her “dream” earrings. This was the first time for me making something in a hexagonal shape, so it took a bit of playing around to get all the sides equal and looking symmetrical. After making the shapes, I referred back to the emails and realised some of the images I had sent were in fact octagons!! 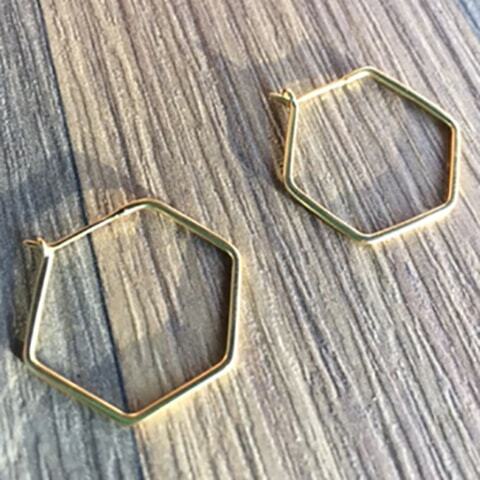 So… I was back to the bench to make some octagon shaped earrings as well. Lindell wanted them about the size of a 10cent piece so that was my size-guide. I emailed the above photos to Lindell so she could pic which shape she liked the best. She wanted them to be plated in Yellow Gold, so I needed to prepare them by sanding and polishing before they went off to the platers in central Sydney. Her reply took me by surprise when she said she just loved both of them and would have them both. One pair in Rose Gold and one pair in Yellow Gold. So, off they went to the platers. 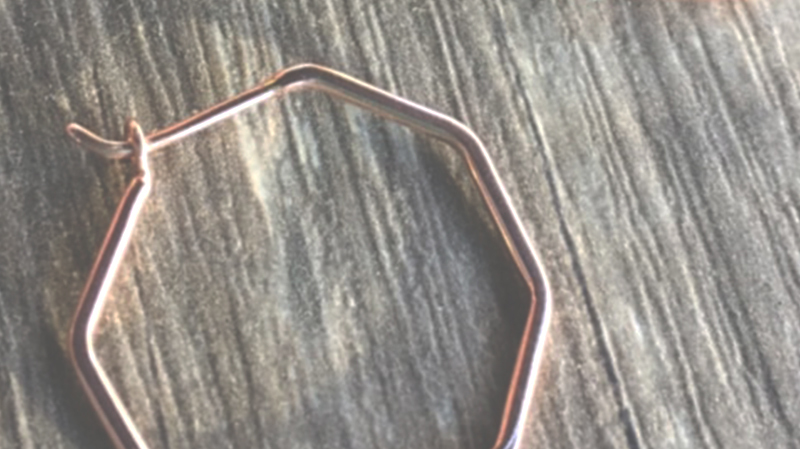 It’s always a bit nerve racking when it comes time to post the custom piece of jewellery to your customer and you just really hope that they are exactly what the customer had envisioned. Luckily this was exactly the case and Lindell loved both pairs and is getting lots of wear from them. If you would like your very own piece of Ayana Jewellery, made YOUR way, please contact us! This entry was posted by Lauren Batten in Jewellery Stories.